Excellent condition 2013 Ford Escape Titanium 4X4 with a 2.0 liter Ecoboost engine. Clean alloy wheels with 19" like new tires. Full panoramic sliding roof. Factory navigation system with ((XM)) radio and Bluetooth. Heated power adjustable black leather/ fabric seats. Full keyless entry with a push button starter and remote engine starter with 2 keys. Power liftgate with foot motion activation to open and close the gate. Steers itself into parallel spots. First, you press a button and listen for active park assist1 to alert you when it has located an appropriate parallel parking spot. Then, you take your hands off the wheel and your Escape literally steers itself into place. You simply follow system prompts to shift gears and control the brake and accelerator pedals. You’ll be parked and on with the day’s adventure in practically no time at all. Class-exclusive active park assist is part of our comprehensive Parking Technology Package,1 which also includes a class-exclusive Forward Sensing System, a Reverse Sensing System, BLIS® with cross-traffic alert, a rear view camera and rain-sensing windshield wipers. We do not charge any dealer doc fees and we do not charge a repair deductible during the warrant period. We offer financing up to 100% of the purchase price. 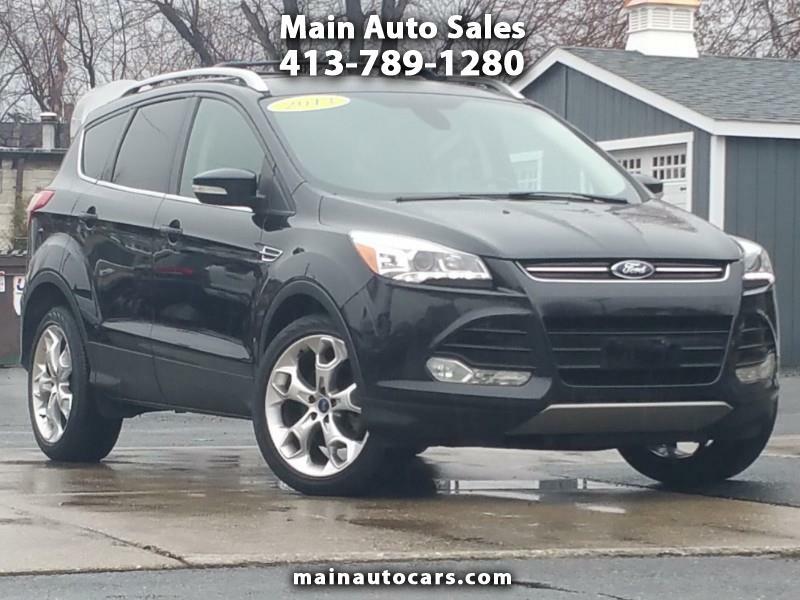 Visit Main Auto Sales online at mainautocars.com to see more pictures of this vehicle or call us at 413-789-1280 today to schedule your test drive.